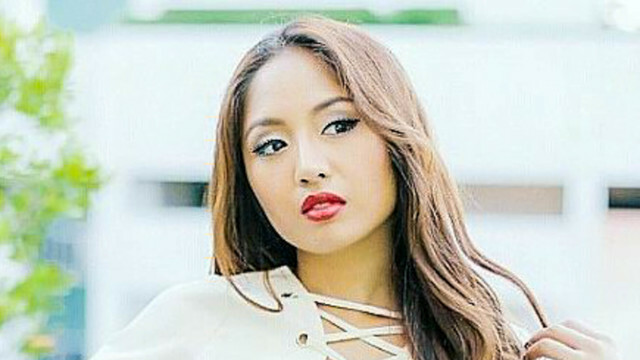 Nations Press news RADIO DJ Karen Bordador and Bf Arrested over 3M Worth Of Drugs! RADIO DJ Karen Bordador and Bf Arrested over 3M Worth Of Drugs! SPONSORED LINKS A RADIO DJ and her boyfriend were arrested by police in a drug buy-bust operation in Pasig City on Saturday afternoon. Karen Bordador, a disc jockey for the FM station Monster Radio 93.1 , and her reported boyfriend were arrested at a condominium unit on Henry Javier Street, Barangay Oranbo in Pasig City around 5 p.m. The operation was conducted by the narcotics division of the Southern Police District in coordination with the Eastern Police District. According to an SPD report reaching the office of EPD Director, Senior Supt. Romulo Sapitula, the two yielded the P100,000 marked money, plastic sachets suspected to contain dried marijuana leaves and marijuana resin; and Ecstasy tablets with an estimated street value of around P2.5 million. A Filipino-American who was nabbed by anti-narcotics agents at Bonifacio Global City recently for allegedly selling drugs at high-end bars in the area reportedly tipped off the police about Lim, GMA’s 24 Oras reported on Sunday. Last Thursday, Philippine National Police chief Ronald “Bato” de la Rosa said high-end bars would not be spared in the government’s antidrug campaign. De la Rosa said he would initiate talks with owners of upscale clubs in Makati City and Bonifacio Global City in Taguig where many party drug users and pushers were said to be going.